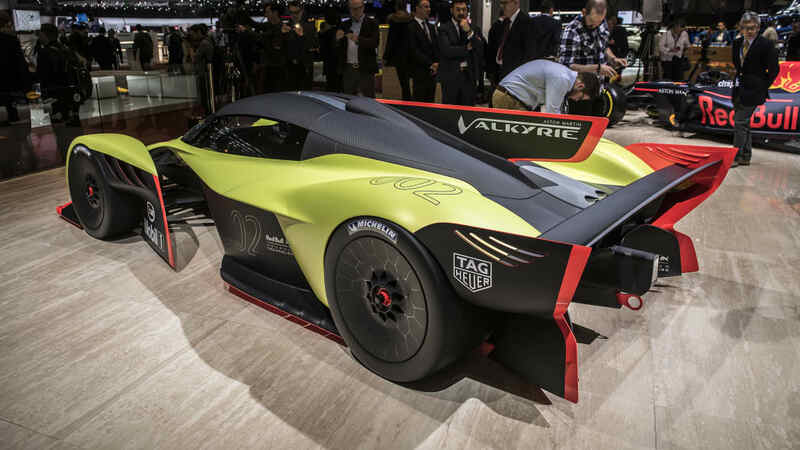 We still have yet to see the final production version of the road-going Aston Martin Valkyrie hypercar, but that hasn't stopped Aston from creating an even more extreme version of the already radical car. 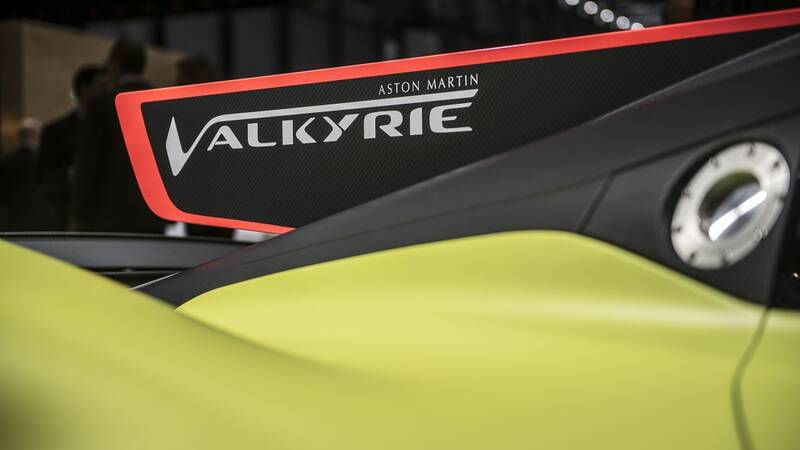 It's called the Valkyrie AMR Pro, and it's lighter, more powerful, has more downforce, and is only for use on the track. 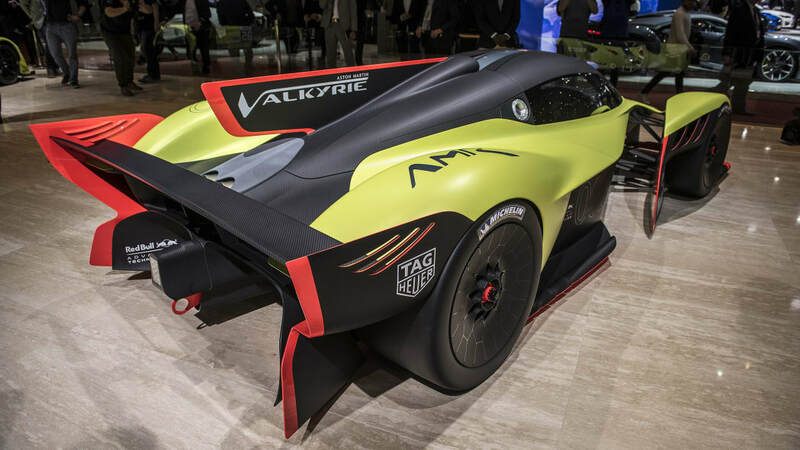 Powering the Valkyrie AMR Pro is a version of the standard car's naturally aspirated hybrid V12. 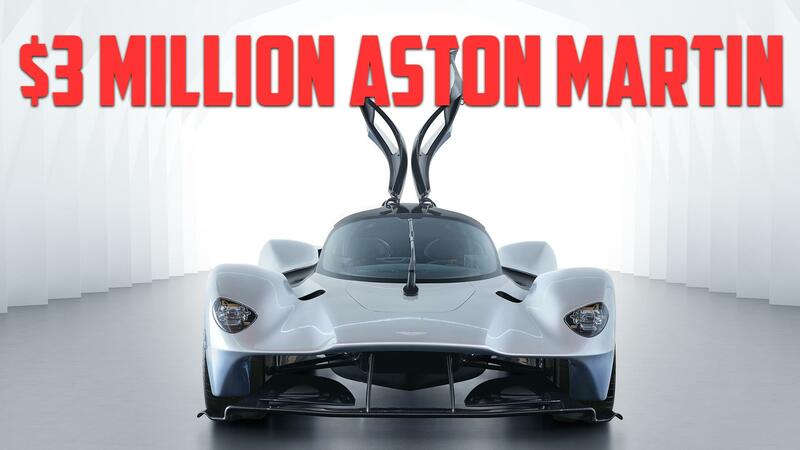 In this guise, Aston says it produces 1,100 horsepower, more than the standard car. 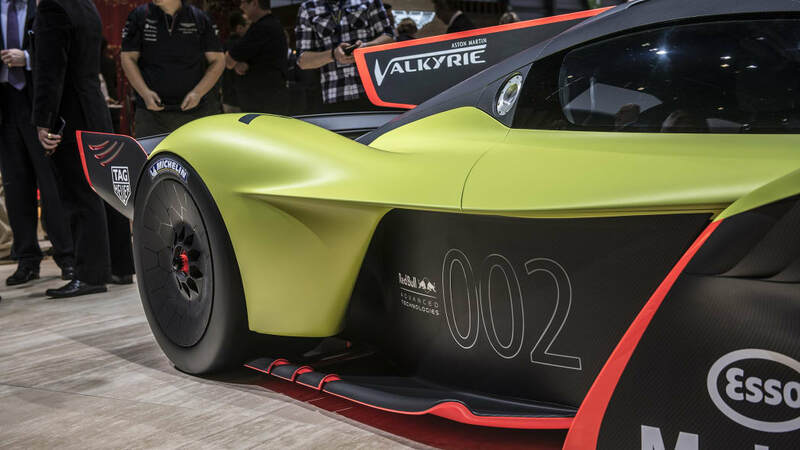 That engine won't have much to carry around, either, since Aston is aiming to have the Valkyrie AMR Pro weight just about 1,000 kilograms, or about 2,200 pounds. 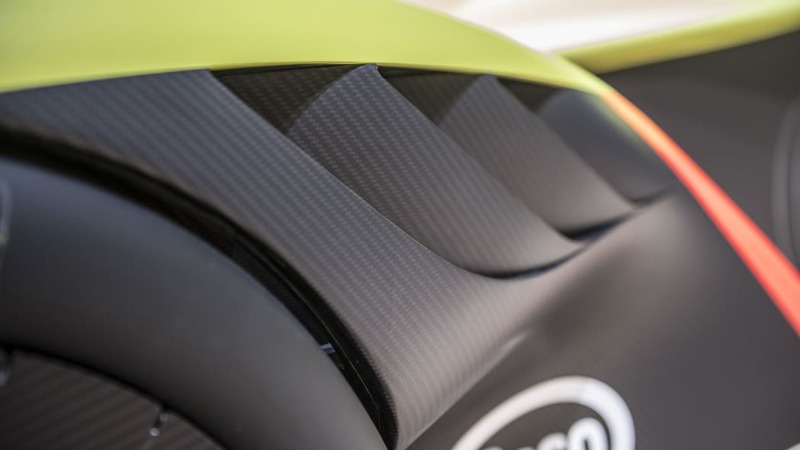 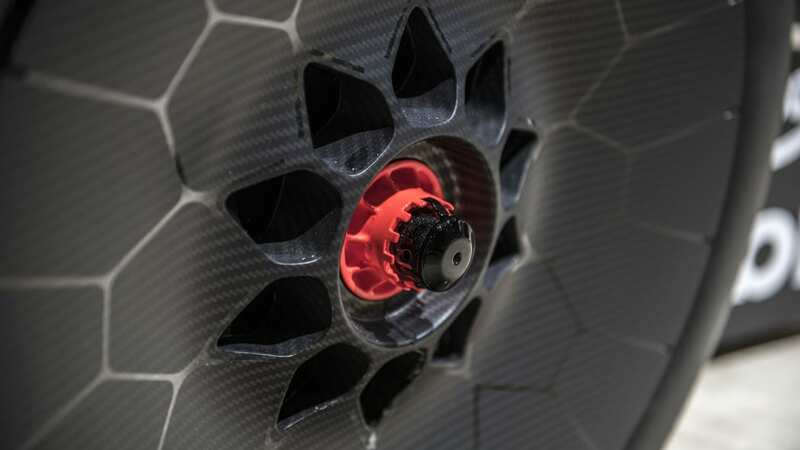 To hit that weight, Aston is using lighter carbon fiber for the body, carbon fiber control arms, a lighter exhaust, polycarbonate windows, molded seats, and it has removed the HVAC fan and infotainment system. 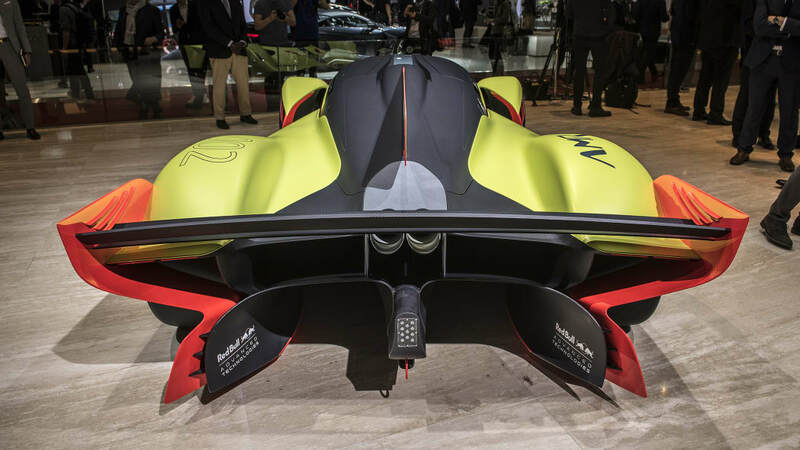 Fortunately, Aston is including heater elements in the windows so that they don't fog up in wet or cool weather. 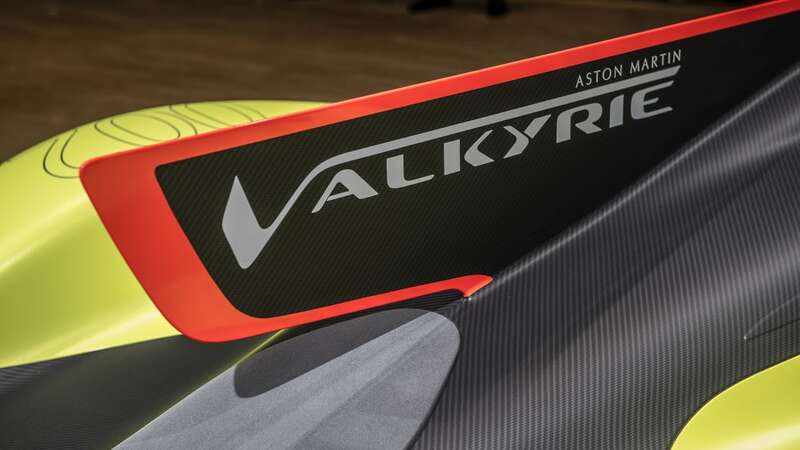 The Valkyrie AMR Pro's body shape is different, too, and it has been changed to increase downforce. 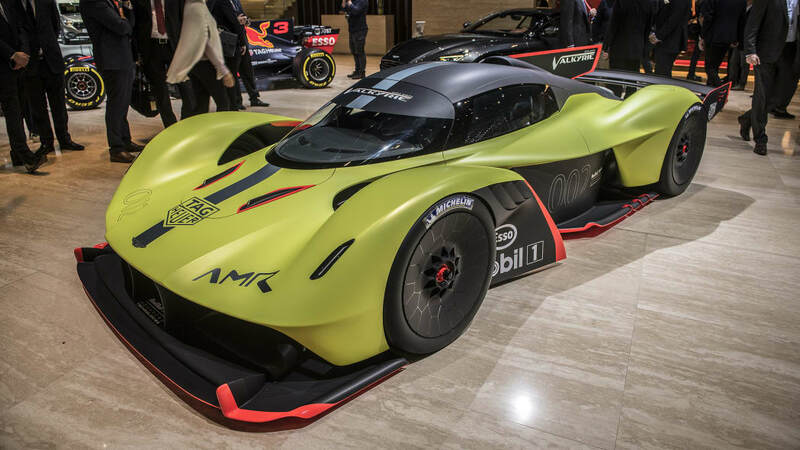 It has usual changes such as large front and rear wings. 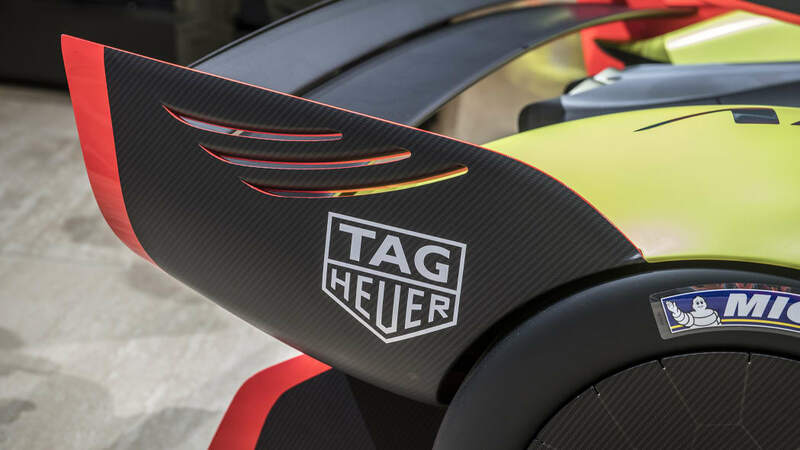 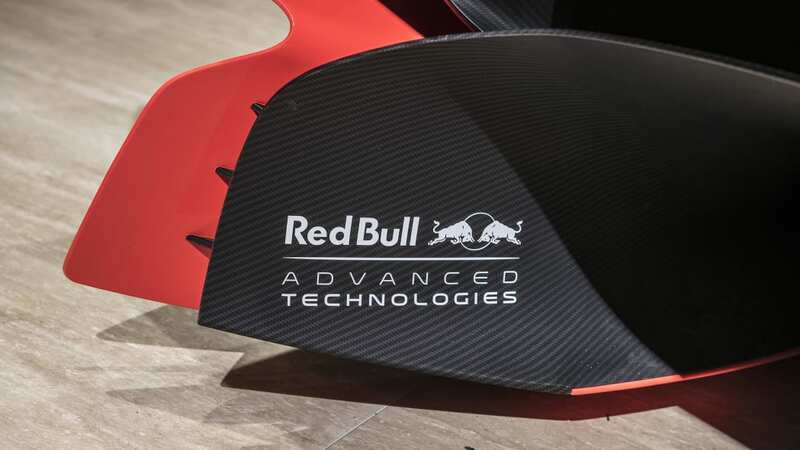 It also has a tall center fin like that found on prototype and F1 race cars. 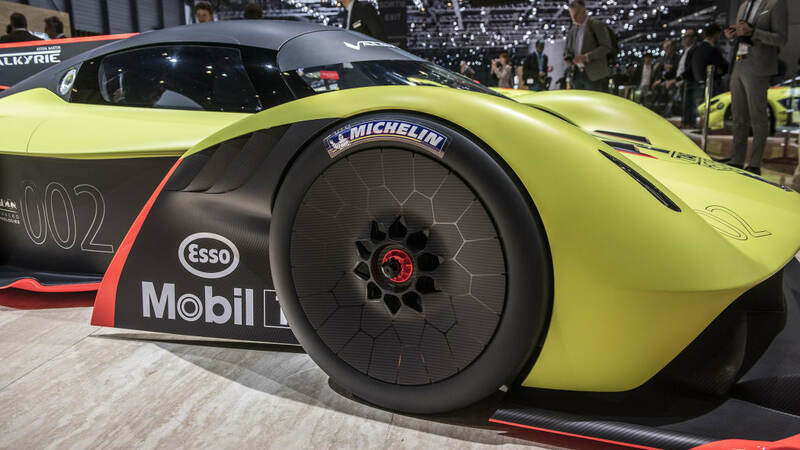 The body itself is wider, too. 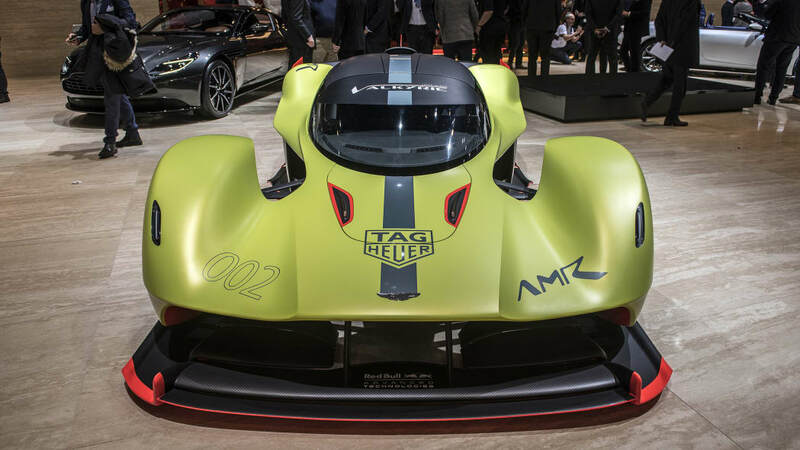 All told, Aston expects the car to produce over 2,200 pounds of downforce. 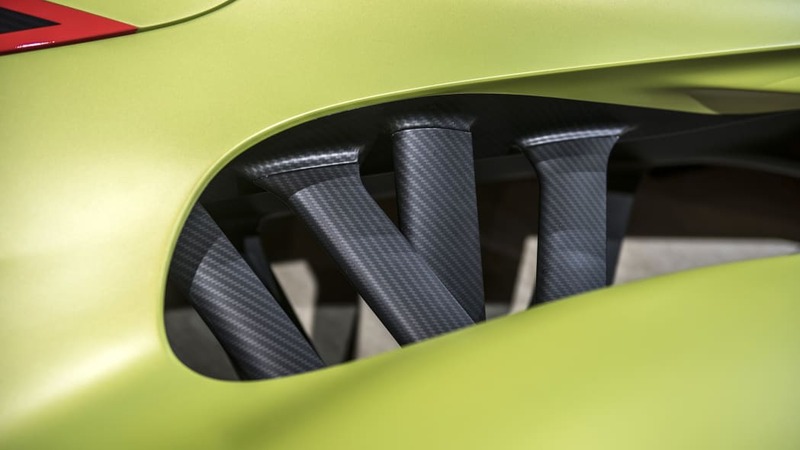 The combination of all these performance enhancements means the car can achieve a claimed top speed of 225 mph, as well as cornering forces of over 3G. 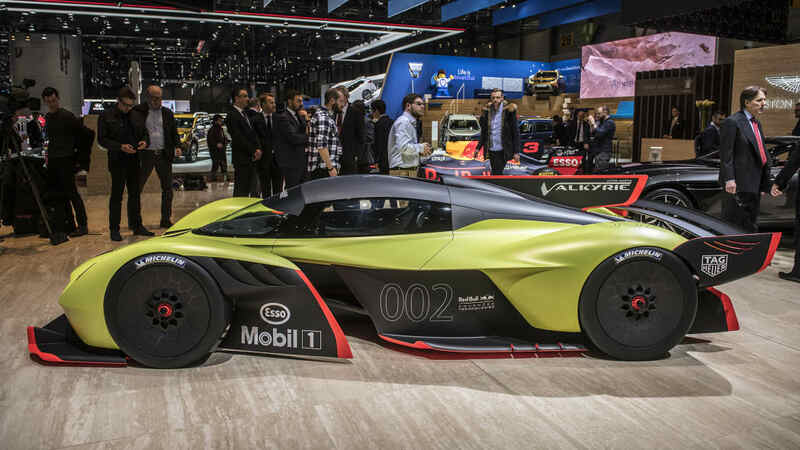 Aston Martin didn't reveal pricing, but it doesn't matter. 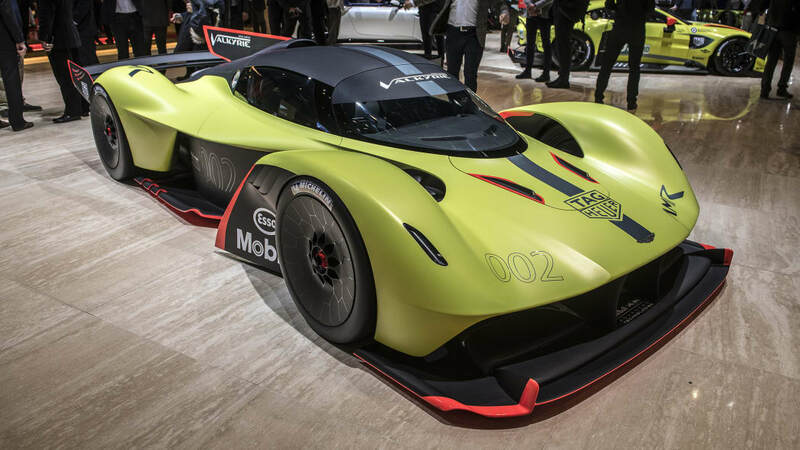 Aston already sold all 25 Valkyrie AMR Pros it will build. 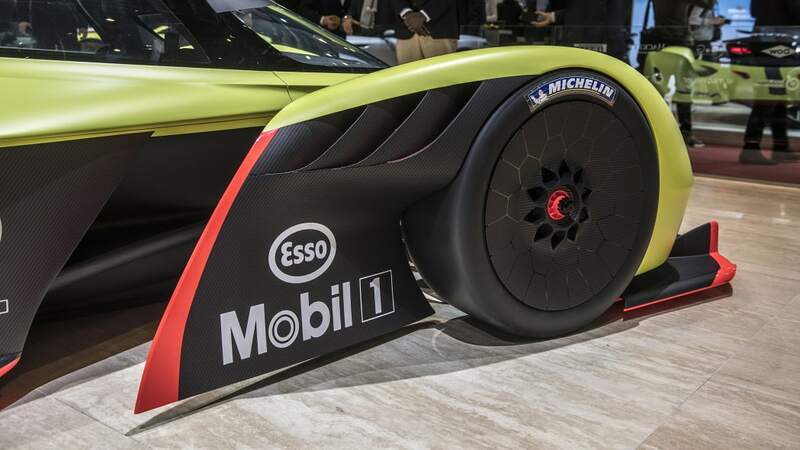 The company says that they'll be delivered sometime in 2020.